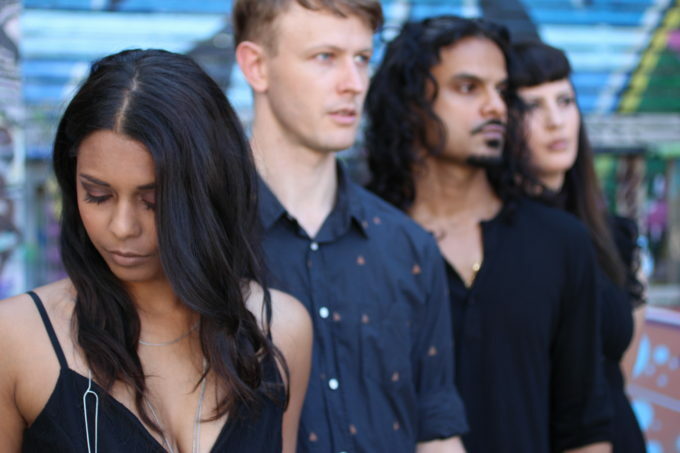 You’re more than likely aware by now that Sydney band Mirella’s Inferno are auspOp’s Artist Of The Month for December. As the month unfolded, we brought you part one of our month-long run of features as frontwoman Meghan Dea’s chatted with Brad about how the band was formed and the art of ‘larping’ at Uncanny Valley Studios in Glebe (HERE). Last week it was an exclusive acoustic performance of ‘Disease’ from the band’s recently-released ‘Haunting’ EP (HERE). This Thursday it’s back into interview mode; Brad once again chatting with Meghan about their recent sold out gig at Oxford Art Factory, the inspiration behind tracks on their ‘Haunting’ EP and her love of Ryan Gosling. Next week we bring you another exclusive performance; the band performs a cover of London Grammar’s ‘Strong’ live and acoustically for us. Then for our final hurrah of the year, it’s part three of Brad’s chat with Meghan (including a fun game of charades). The band’s Haunting EP can be purchased from iTunes, Google Play or streamed on Spotify or Soundcloud.